Music composed by Thomas Newman. HE NAMED ME MALALA is an intimate portrait of Nobel Peace Prize Laureate Malala Yousafzai, who was targeted by the Taliban and severely wounded by a gunshot when returning home on her school bus in Pakistan’s Swat Valley. The then 15-year-old (she turned 18 this July) was singled out, along with her father, for advocating for girls’ education, and the attack on her sparked an outcry from supporters around the world. She miraculously survived and is now a leading campaigner for girls’ education globally as co-founder of the Malala Fund. Acclaimed Academy Award®-winning documentary filmmaker Davis Guggenheim (An Inconvenient Truth, Waiting for Superman) shows us how Malala, her father Zia and her family are committed to fighting for education for all girls worldwide. The film gives us an inside glimpse into this extraordinary young girl’s life – from her close relationship with her father who inspired her love for education, to her impassioned speeches at the UN, to her everyday life with her parents and brothers. 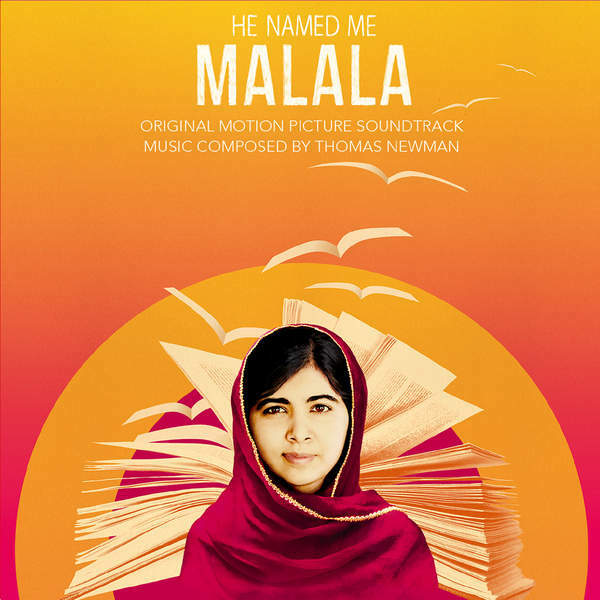 The movie soundtrack of He Named Me Malala will be released on October, 2015 by Sony Music.